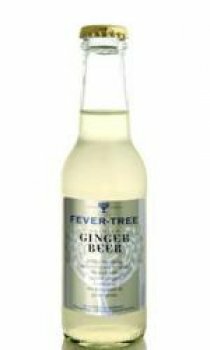 Made by brewing a blend of gingers; a hot ginger from Nigeria and the very rare fresh green ginger from Ecuador, Fever Tree have created a ginger beer which has a noticeably more prominent ginger character and is less sweet than its competitors. Because they have packed it full of natural ginger you should instantly be able to smell the ginger aromas. The ginger flavour will predominate as you taste it, and like all good ginger beers, the ginger will linger at the back of your palate. In the words of Olly Smith, one of the UK's top drinks writers. "Finally a drink that gets right up my nose - in a good way! It's all I've ever wanted! It doesn't mumble, it sings! The taste has a perfect spicy kick with a long aftertaste - very tingly and a palate revitaliser - not too sweet and all about the flame root."